Want to be notified when the F - wheel DYU D1 12 inch 10Ah Folding Electric Bike ( Deluxe ) gets even cheaper? Make sure you snag the best price by entering your email below. We'll email you when the price drops, free! We're tracking the price of the F - wheel DYU D1 12 inch 10Ah Folding Electric Bike ( Deluxe ) every day so you know if that deal is really a steal! Check back for to check the best price for this product - and whether its current sale price is really the cheapest it's been! 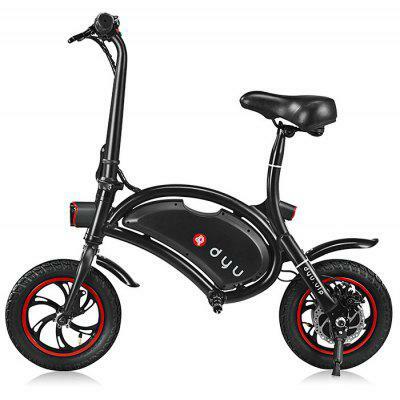 No F - wheel DYU D1 12 inch 10Ah Folding Electric Bike ( Deluxe ) coupons found!